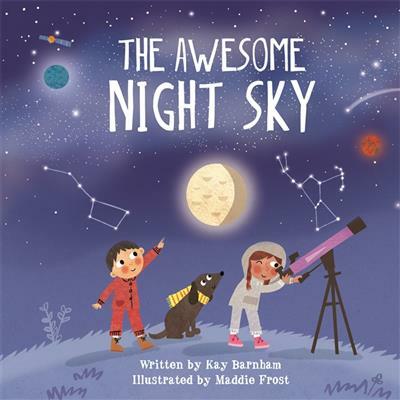 Kay Barnham (Author) Kay Barnham was born in Barrow-in-Furness, grew up in Carlisle, went to college in Brighton, and lived in Hove for a while, before sailing for Kinsale, Co Cork, popping back to Hove and then moving to the New Forest with her husband and daughter. And never at any point has she lived more than ten miles from the sea. She began working in children's publishing in 1992. She was an editor first of all, working on illustrated non-fiction and learning fun facts like how long it would take to walk to the moon - nine years - and how to spell palaeontology. Next, she commissioned fiction titles, editing picture books, storybooks and novels. And then she got the chance to write her own books, which she thinks is quite the best job ever. Except possibly being a chocolatier. She writes non-fiction as Kay Barnham. Her specialist subjects include ice-skating, Isambard Kingdom Brunel, lightning, fairies, Roald Dahl, Sir Isaac Newton, Christmas, dolphins, Florence Nightingale and very bad cracker jokes. And chocolate. She also writes fiction as Kay Woodward, including the Skate School series for Usborne and the novels Jane Airhead and Wuthering Hearts for Andersen Press. Altogether, she's written about a hundred books. Her favourite colour is navy blue. Her favourite chocolate is 85% cocoa solids. Maddie Frost (Illustrator) Maddie Frost is the author and illustrator of Once Upon a Zzzz, Animobiles and Wakey Birds. 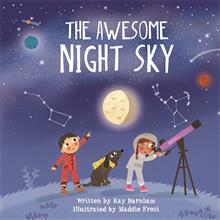 She is also the illustrator of The Littlest Things Give The Loveliest Hugs, A is for Artichoke and more. She lives with her husband and dog in Boston, USA.